After many years of fits and starts, the Electric Vehicle (EV) market is showing signs of coming into its own. This advance of the EV market is happening with both a push from policy makers and a pull from the market: a growing infrastructure of public charging stations, a decrease in the cost of lithium ion batteries and government incentives for the purchase and use of electric vehicles. But EVs are more than just transportation and grid operators are eyeing this rise with more than just an academic eye. 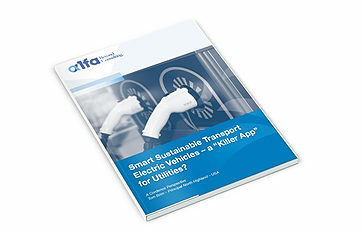 For this reason, we are glad to share with you our perspective Electric Vehicles – a “Killer App” for Utilities?, a paper where we will talk not only about the current state of the EV market and what is driving its growth, but will explore why EVs could become the “killer app” for utilities as a source of load growth and as an important tool for managing the grid. EVs may put some stress on electrical distribution equipment in neighborhoods with high EV penetration, but more importantly EVs mean a growth market in an electric industry that has been anemic since the 2008 recession, and EVs may be a potential secret weapon to manage the grid of the 21st century. Download our perspective below, where we address the emerging role of electric vehicle technology beyond transportation.